Why Should I Be Concerned with Improving Indoor Air Quality? Generally, we think of air pollution as something that happens outside of your home—but did you know that the air quality inside your home, apartment, or office space can be even worse for you than the outdoor air you breathe? Pet dander, dust mites, mold, and tracked-in pollen can aggravate a variety of breathing problems–they may even be the source of them! And that doesn’t even include the dangers to your health that can be caused by indoor asbestos, radon, and lead paint. There’s no simple cure for people who suffer from asthma, allergies, bronchitis, and other respiratory problems, but you can take control of improving indoor air quality by implementing a few simple measures and following the tips we’ve listed below. A thorough cleaning will help reduce dust and other indoor allergens, so grab your supplies, including a damp cloth, and let’s get to work! Be sure to include ceiling fans and other tough-to-reach spots as a part of your cleaning routine, and avoid using toxic, scented, and aerosol products. When it comes time to select a vacuum, purchase one with a HEPA filter to best reduce irritants. Dogs may be man’s best friend, but canines and other pets spread dander and fur around your home. Bath time and a good brushing are both in order, and when you wash bedding materials be sure to use hot water with a cool rinse cycle. 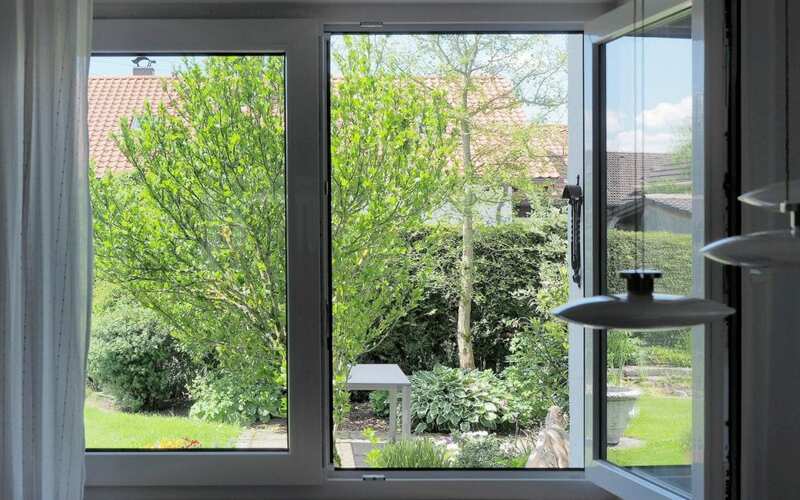 Open your windows wide on warmer days, and even crack them a bit when it’s chilly outside. This helps to keep fresh outdoor air circulating throughout your house. When cooking, always use the exhaust fan to vent unwanted odors, smoke, and moisture from your home. When you decide to renovate your home, be smart about your choices by keeping your indoor air quality in mind. Wood floors are better than carpet in terms of cleanup and trapped allergens. Choose 0 or low VOC paint, and opt for blinds rather than curtains. Lakeland Home Inspection Service serves Lakeland and Central Florida with Home Inspections and other services to help you keep your home healthy and safe. Contact us to discuss what we can do for you!